The largest U.S. meat producer aims to improve environmental practices on 2 mln acres of suppliers’ land, weeks after Tyson’s founding family used supervoting stock to nix a shareholder resolution along similar lines. The company has much more to do, but at least it’s listening. 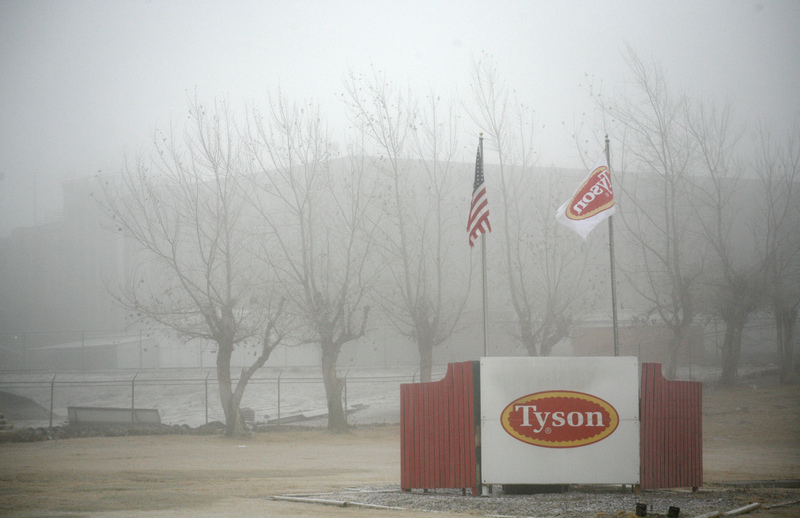 Fog shrouds the Tyson slaughterhouse in Burbank, Washington December 26, 2013. Tyson Foods on April 3 said it has committed to improve environmental practices by 2020 on 2 million acres of land used to grow corn. In February a majority of independent shareholders voted in favor of a resolution calling on the company to design and implement a water stewardship policy to reduce risks of pollution. The founding family’s supervoting Class B stock, which carries 10 votes per share, reduced overall support to just 16 percent.